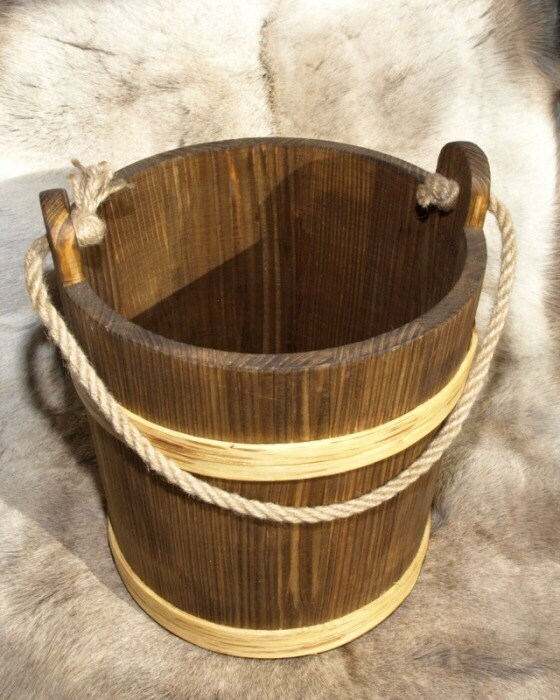 Wooden bucket. Rope handle. Finished with linseed oil for extended waterproof. This model was widely used in medieval Europe. Capacity 5 litres ( 1.3 US gallon ). 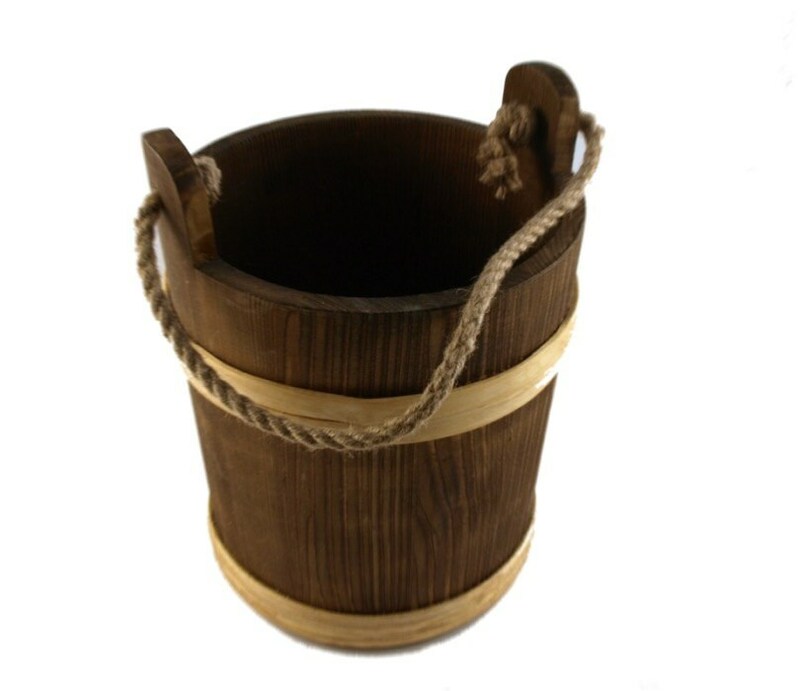 An exquisite bucket made from quality materials. I couldn't be happier with my purchase and look forward to testing it out at my next event. 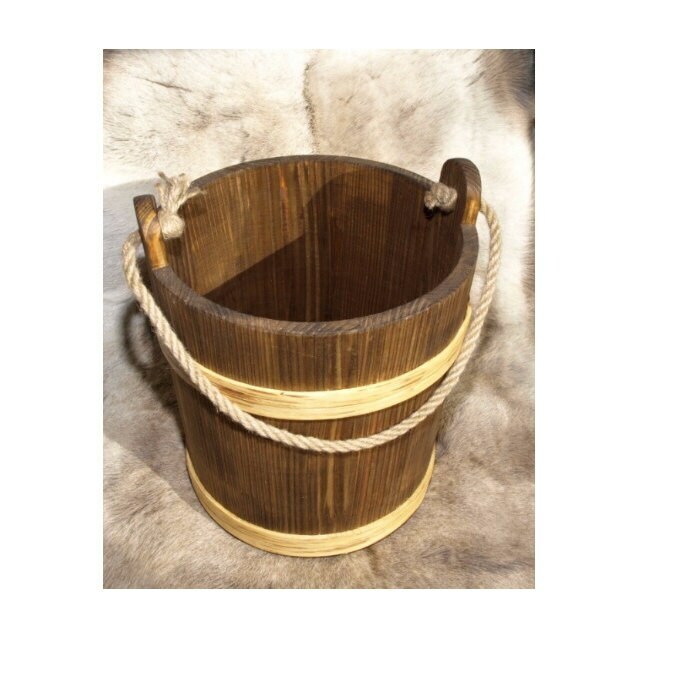 This bucket is very well made and delivery was fairly quick, for an overseas order. Excellent quality for historic reenactment, will no doubt order again! Beautiful bucket! Super fast shipping! Thank you!